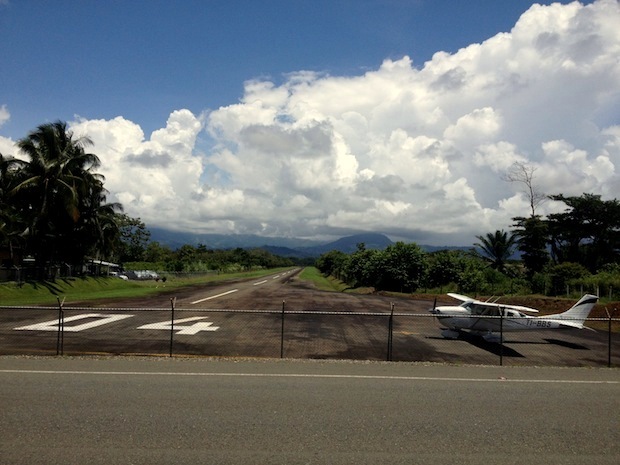 SAN JOSE, Costa Rica–The Costa Rican Technical Council of Civil Aviation (CTAC in spanish) informed today of its expansion plans for the Quepos/Manuel Antonio Aerodrome at La Managua (code: XQP). The airport will become a regional domestic and international airport, capable of servicing aircraft as the regional jets Canadair CRJs, Fokker 70s and the ATR-72s. Today the aerodrome receives up to 20 flights a day, most of them domestic from San Jose, the capital of Costa Rica. Two small carriers service Quepos/Manuel Antonio, SANSA Airlines (property of Avianca) and Nature Air. By 2015 the airport will be able to receive not only domestic flights but also internationals, since the new terminal will have Inmigration and Customs areas. Alvaro Vargas the Director of the Civil Aviation Board explained the upgrading consists in a longer and wider runway, bigger ramp, new airport terminal, fire station and hangars for airplane maintenance. The total cost of the upgrade will be of $5 million and its expected to bring more development to the area, well known as one of the “hottest” leisure destinations in Costa Rica. Quepos/Manuel Antonio Regional Airport will be the natural gateway to the Central Pacific, close to national parks, rain forests and spectacular resorts. It is also expected that airlines like Avianca would be interested in opening international services from its Central American hub at Comalapa International Airport in El Salvador, connecting the eleven North American gateways the airline services. 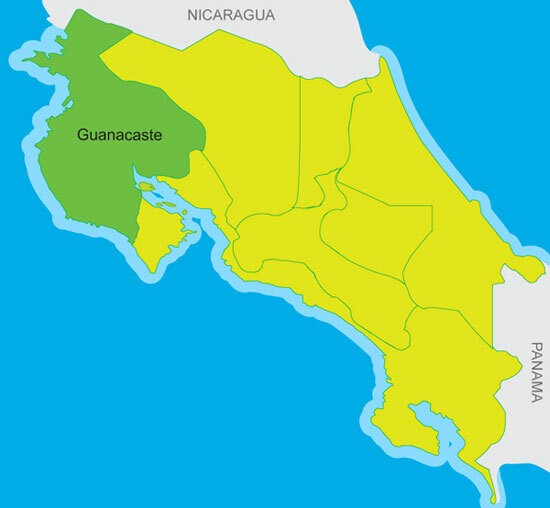 Also new international Costa Rican carriers like Ticos Air and Tica Air International (property of Air Panama) are also expected to open flights to Quepos/Manuel Antonio once the airport has the new terminal building. 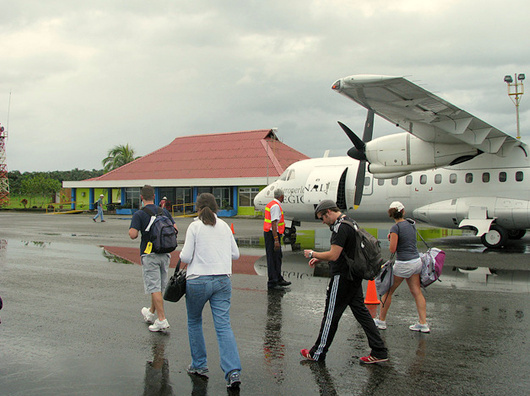 Quepos/Manuel Antonio will become a Regional International Airport by 2015. This entry was posted in Air Panama, Costa Rica, Costa Rican Riviera, Latin American Airlines, Latin American Airports, Nature Air, SANSA and tagged Avianca, Costa Rica, Manuel Antonio, Nature Air, Quepos, SANSA, Tica Air International, TICOS Air. SAN JOSE, Costa Rica–December 30th. At the age of 92 years, Captain Otto Escalante Wiepking died, closing a golden chapter of the Costa Rican Civil Aviation. He was only seven years old when Charles Lindbergh visited Costa Rica in the “Spirit of St. Louis” and since then he knew deep inside his life would be connected with aviation. In 1939 a young Otto Escalante graduates from highschool and a year later starts working for TACA Costa Rica in the cargo department. Once the United States joins the Allies in the Second World War, the American pilots flying in Latin America were all requested to join the armed forces, opening the possibilities for young latin men to become commercial pilots. Otto Escalante travels to the U.S. and in a year becomes a commercial pilot. Escalante showed such professionalism, the United States Government gave him a scholarship at the Sky Harbour School of Aeronautics in Phoenix, Arizona. He returned to Costa Rica and works in several airlines like TACA Costa Rica and AVO. On March 12th 1948 he travels to Guatemala with Captain Guillermo Nuñez, flying two Douglas DC-3s. A day after Escalante and Nuñez returned to Costa Rica, the DC-3s heavy full of weapons and ammunition for Jose Figueres Ferrer’s National Liberation Army. 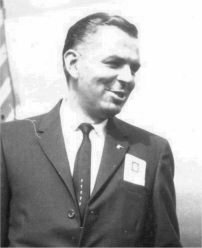 In 1949 Otto Escalante returned to flag carrier LACSA and in 1960 he is appointed General Manager for the airline. Captain Escalante flew LACSA’s first jet in April 1967, a BAC-111-400 named “El Tico” and he kept working as a pilot until 1972 when he became CEO and President of the Board of Directors. Otto Escalante also founded Cayman Brac Airways (later Cayman Airways Ltd.) as a subsidiary of LACSA and was also SANSA’s President until he retired in 1989. Captain Escalante also served as a consultant for Aero Costa Rica S.A. (the other national airline that operated from 1992 to 1997). Today a great chapter of the civil aviation in this small nation is closed with a golden seal, that of a pioneer indeed. Otto Escalante was LACSA’s CEO and President until 1989. This entry was posted in Airlines, Costa Rica, LACSA, Latin American Airlines, Latin American Flag Carriers, SANSA, TACA and tagged Aero Costa Rica, BAC-111-400, Cayman Airways, Cayman Brac Airways, Costa Rica, Costa Rican Revolution, LACSA, Otto Escalante, TACA. SAN JOSE, Costa Rica–Back in 1979 the Costa Rican Flag Carrier LACSA decided to create a spin-off airline that would take over the domestic operation in the country. SANSA (Servicios Aereos Nacionales S.A.) was born operating two Douglas DC-3s. As LACSA’s “side-kick” domestic airline, SANSA adopted a very Costa Rican livery sporting the flag on the tail of the old DC-3s. After several years SANSA’s management decided to change the DC-3s for the Spanish C-212 Aviocars and the airline even adopted a special livery and a indigenous inspired logo. When parent company LACSA received the first Airbus A-320s in 1990 to replace the Boeing 727-200s, SANSA again adopted a “Costa Rican livery” for its C-212s and later for the Grand Cessna Caravans. In 1991 LACSA and SANSA were purchased by TACA International Airlines and merged into the TACA Group. SANSA adopted several liveries all influenced by the GRUPO TACA new image. In 2012 SANSA was renamed as SANSA Regional as a full member of the TACA Regional group of domestic airlines. In 2013 SANSA Regional’s management decided to go back to basics, to return to the original 100% Costa Rican image and drop the name “Regional”. The new logo was launched on December 17th through the social media sites and in January 2014 the airline will present the new livery on one of its Grand Cessna Caravans. SANSA is trying to recoup the perception that it is not only a Costa Rican carrier, but also the new Flag Carrier of the country after the full absortion of LACSA into the Avianca structure. SANSA’s new logo inspired in Costa Rica’s flag and national blue. This entry was posted in Airlines, Central American Domestic Airlines, Costa Rica, El Salvador, Guanacaste, Latin American Airlines, Latin American Airports, Latin American Flag Carriers, SANSA and tagged TACA International Airlines.